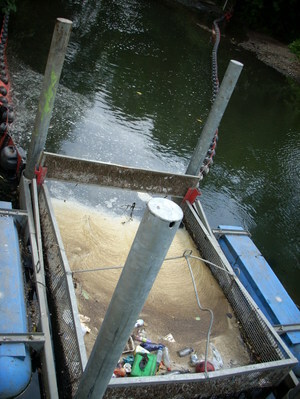 As well as cleaning up the River Darwen and its banks, the litter trap boom was also re-connected today. The trap is now back online and in operation. Hopefully the river will continue to look as good as it does today for a lot longer than it would have without the litter trap. Of course, the trap is not the total answer to the litter problem in the River Darwen. I have heard the litter trap likened to 'a sticking plaster on the problem'. If litter and debris were disposed of properly, we would not need to have a litter trap in the river. The litter trap is here to highlight and try to prevent these problems but the project’s success depends on people changing their habits and disposing of waste responsibly – in the bin or at the household waste disposal centre. They finally deflate after the body stops lactating. The business loans suppose to be useful for guys, which want to organize their career. As a fact, it's comfortable to receive a student loan.